Decorative Prints can often be a focal point for your room. They help develop the atmosphere of the space and can bring colour to the walls. 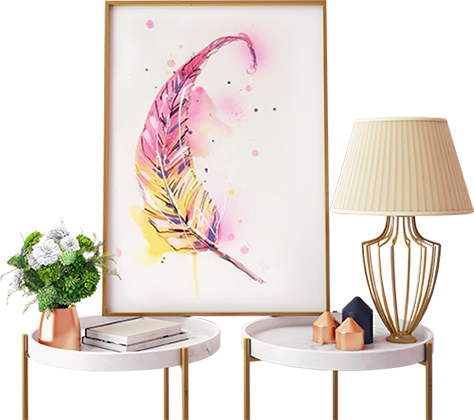 When you frame your decorative print, you turn it from paper into a piece of art, and it becomes undeniably one of the most spectacular pieces in the room. Custom frames made at Value Picture Framing will reflect your personal taste and protect your piece for years to come. In most cases you will keep a well framed piece of art longer than most of your furniture. We have the highest standard of conservation framing materials available and proven techniques to preserve your precious print while making it look great. You will find in-store a range of readymade frames in different print sizes. You can fit them yourself, or, pay a little extra for us to do it for you. We can also provide mat board borders cut to size while you wait. It’s a quick and super affordable way to get your poster up on the wall and looking nice and neat.